The HTC One Mini has been a pretty poorly kept secret for some time now, and while it has previously been rumored as an upcoming AT&T handset, we can now all but confirm this fact - with pictures! 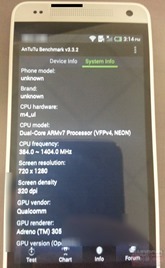 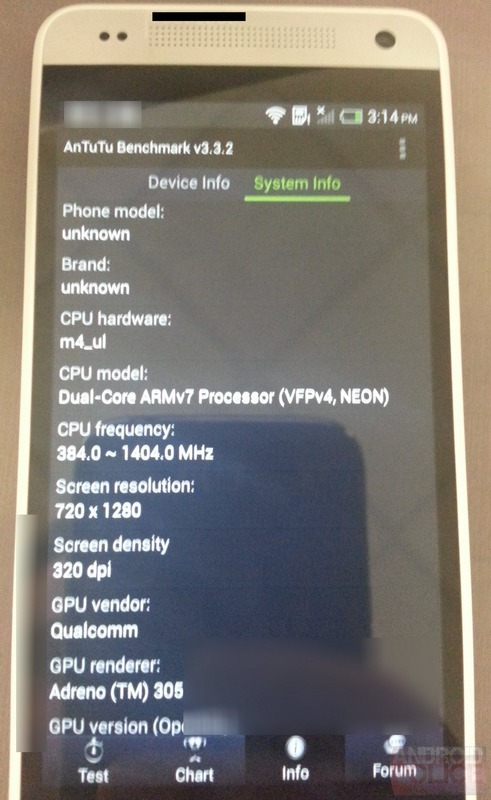 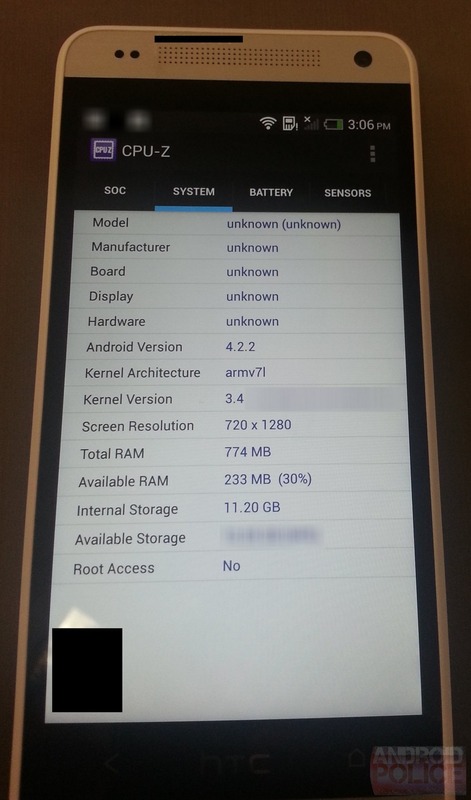 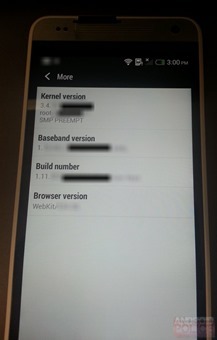 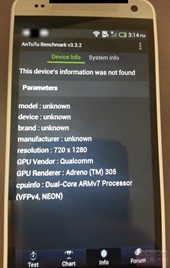 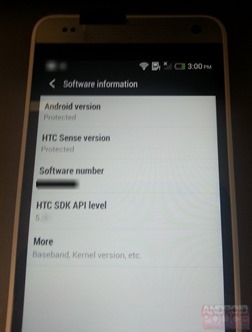 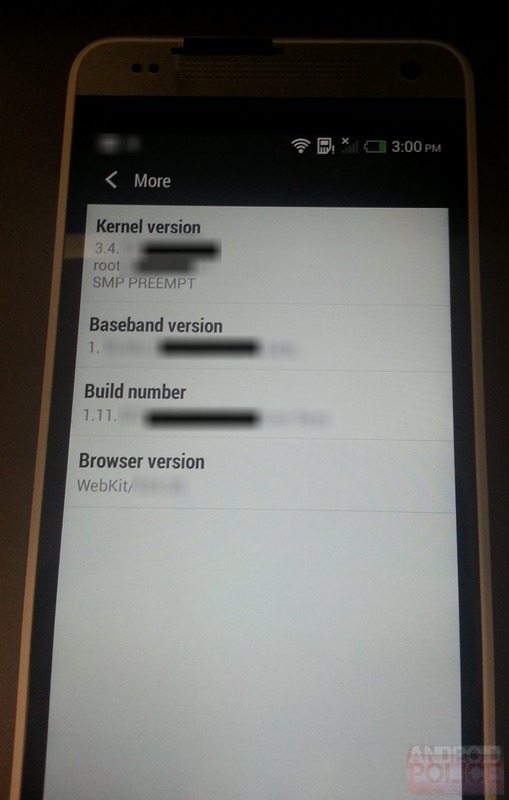 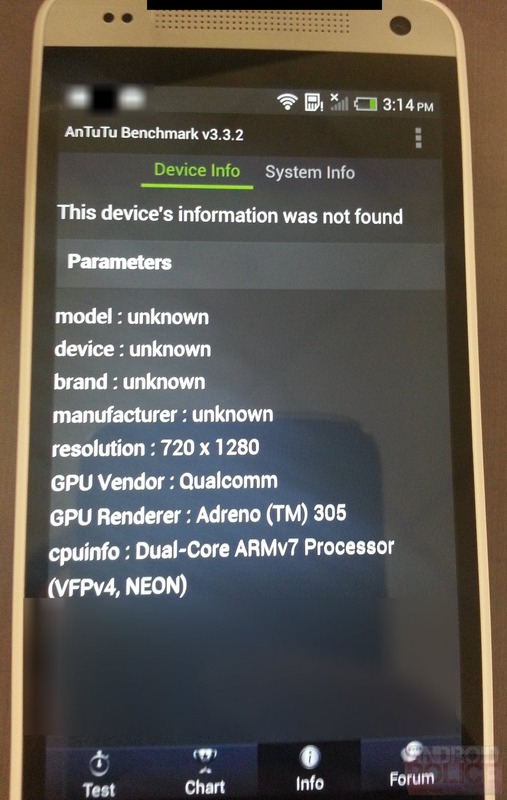 This is the AT&T "HTC One mini," (the model name in the settings menu has 'mini' in lower-case) as leaked to us by an anonymous tipster. 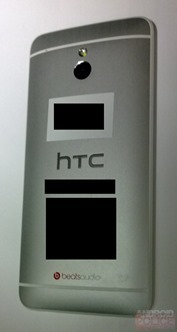 Now, as you'll notice, these photos have various areas blacked out. That's because this is likely a pre-production tester device, and as such, is not 100% exactly what the final handset will look like. 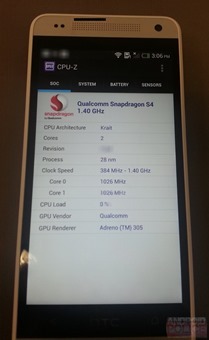 Things like Android and Sense version are blurred out, but benchmarks quickly revealed the presence of Android 4.2, and this is obviously Sense 5, likely with the added features the normal One received in its 4.2 update. 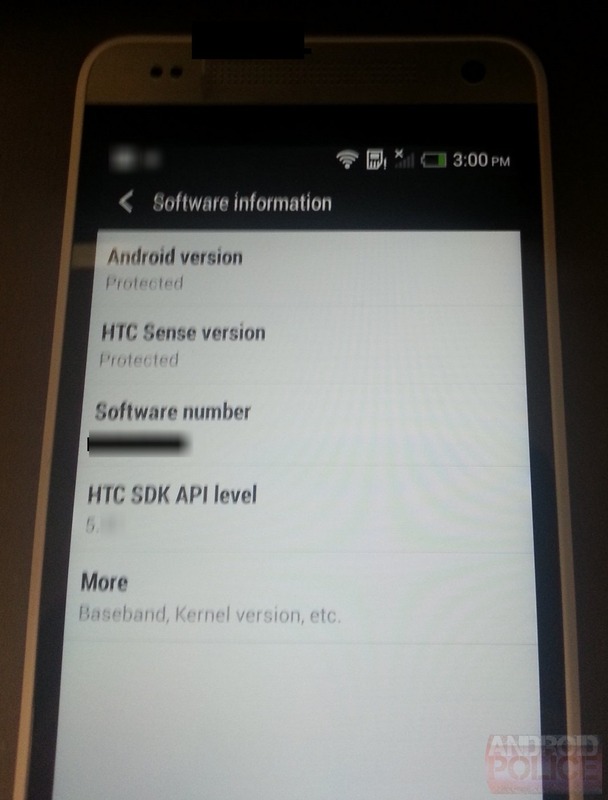 As far as specifications, they're in line with much of what has been leaked to date. 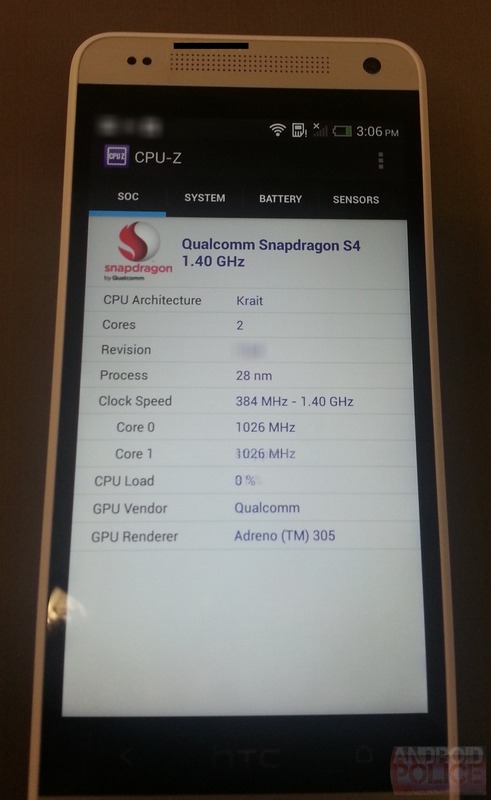 A 720p display (presumably 4.3"), dual-core Snapdragon 400 processor (a dual-core Qualcomm CPU with an Adreno 305 GPU makes it the only possible chip), 1GB of RAM, probably 16GB of internal storage (with roughly 11GB usable), Android 4.2 with Sense 5, and LTE connectivity in this particular variant. 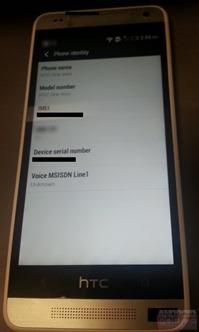 Our tipster reports that the heft and feel of the handset is largely like that of the normal One, meaning the same mostly-aluminum construction is probably present. How do we know this is an AT&T handset? 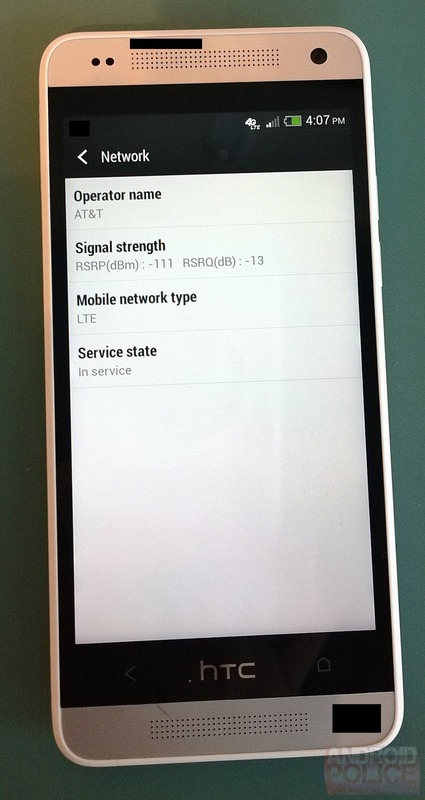 Take a look at the "4G LTE" logo above the signal bar in the one photo with a SIM card inserted below - it's a dead giveaway for an AT&T Android phone. 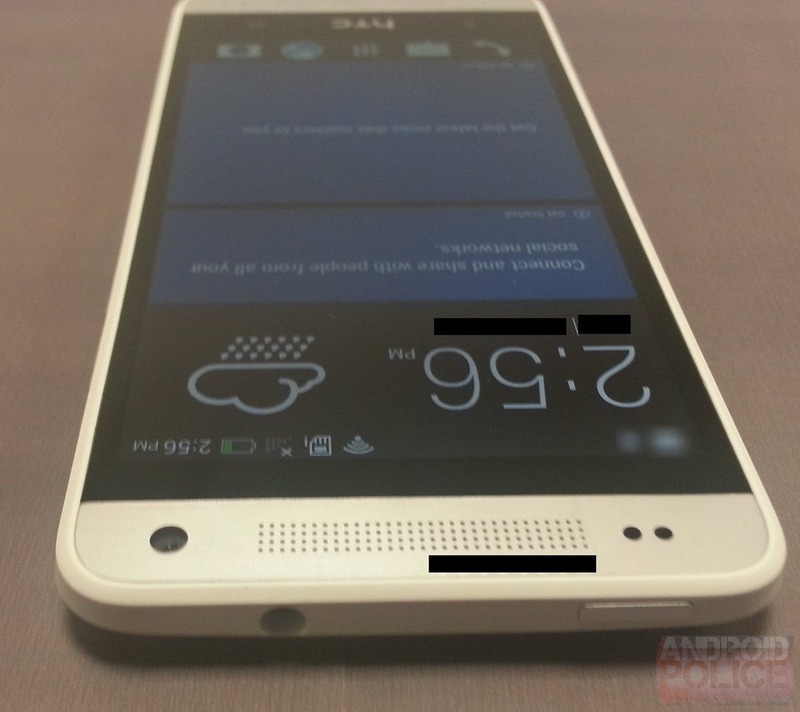 So there you have it - the HTC One mini is definitely coming to AT&T, and everything we're seeing here closely tracks previous leaks of the handset. 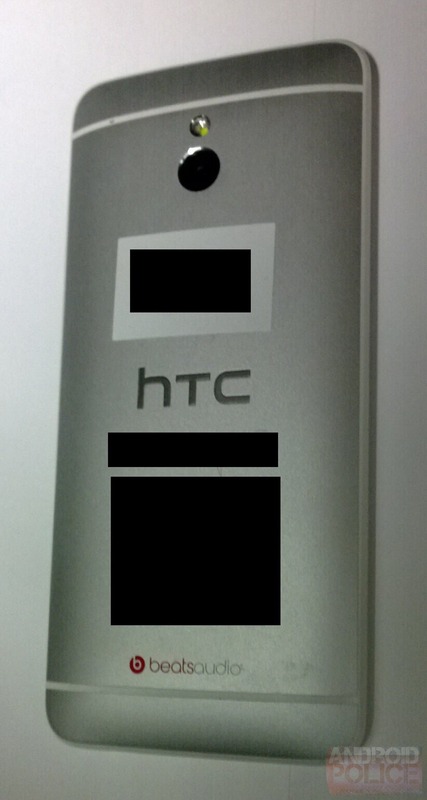 Now it's just a question of when, but we shouldn't have to wait too long - it seems like HTC is slated to announce the One mini tomorrow.